Lighted Cocktail Glass Top Table is a stylish and bright bar height dining table like no other! 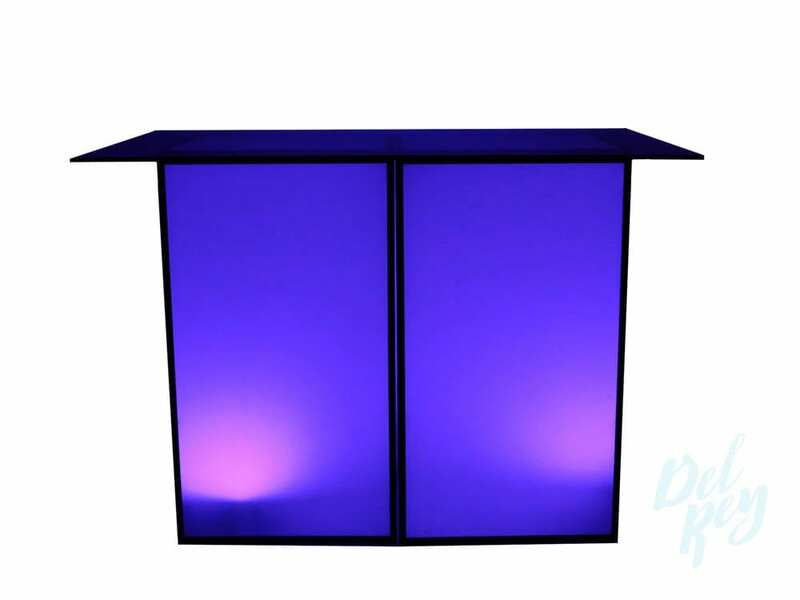 This tall glowing table is made entirely out of tough white opaque polyethylene, which is also waterproof and able to diffuse the light of the color-changing LED module within in all directions. This product is sure to leave your guests in awe! Perfect for all event types! 24″ x 24″x 42″ High base table W/ Glass top 5′ x 42″ wide. Remote Controlled Battery Operated RGB LED Light.You may select the flowing colors: Red,Blue,Yellow,Green,Pink,Orange,White,Purple, Turquoise.